Oregon’s land use regulators have temporarily expanded restrictions on solar arrays on high-value farmland over the objections of advocates who claim they’ll impede development. For example, one project was approved without a permit last year because the county government determined it didn’t “preclude” agriculture use, since bees could still forage beneath the solar panels. In response to these concerns, the Land Conservation and Development Commission issued temporary rules clarifying that solar projects cannot “use, occupy or cover” more than 12 acres, regardless of whether they “preclude” farm uses. However, the revised rules will allow solar facilities of up to 20 acres on such soils if the project includes a “farm use element” for the project’s duration, as determined by county land use rules. The special rules for “dual use” facilities are set to expire in 2022. “From the perspective of solar interests, the rule is extremely prohibitive and has the potential to cripple the state’s community solar program before it really gets going,” said Rikki Seguin, the group’s policy director. Under Oregon’s community solar program, residents could subscribe to a shared solar facility within their utility’s service district, but the recently adopted rules could greatly restrict where projects could be built in the Willamette Valley, Seguin said. “In the end, we feel the department did the best it could with the very difficult position it was in,” she said. The regulation takes the “best of the best soils” off the table while leaving enough land open so solar development can occur in the appropriate areas, she said. 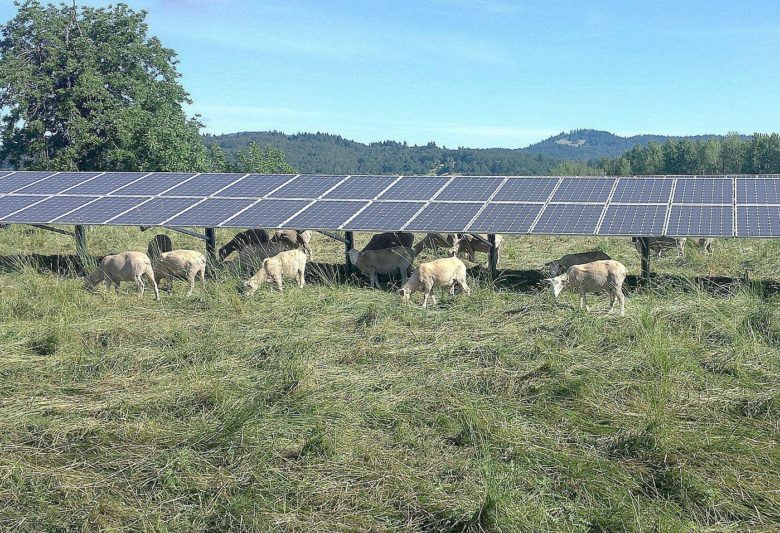 Mary Anne Cooper, public policy counsel for Oregon Farm Bureau, said the rules were a “step in the right direction” and hopes they will be revisited as more data becomes available about solar development in the Willamette Valley and elsewhere in Oregon. The Farm Bureau would like to see the state government recognize other aspects of agricultural productivity other than soil quality, such as the availability of irrigation, drainage systems or high-quality rangeland forage, she said. Data collected by Oregon’s Department of Land Conservation and Development — which is overseen by the commission — indicates 80 projects are currently proposed on nearly 1,000 acres of high-value farmland in the Willamette Valley. Although solar advocates argued that proposed solar projects represent less than one-tenth of 1 percent of the nearly 1.46 million acres of high-value farmland in the Willamette Valley, DLCD recommended enacting the stricter regulations because the farmland impacts have been “disproportionate” in some areas. The proposed conversion of nearly 1,000 acres of high-value farmland in the region “in a relatively short period of time” indicated that the existing rules for solar development were “too permissive” in the context of preserving farmland, the agency said.